Peter Kuruvita's Beach House (part of Sheraton) fits right in the Noosa vibe. Australian Traveller readers rated Noosa as the Best Summer Holiday experience this year in our Readers’ Choice Awards. Here are a handful of ideas that will help you ease into the distinctive Noosa vibe. Because hey, with the likes of Gabriel Macht, who plays Harvey Specter in Suits, hanging around all the time with his Aussie actress wife Jacinda Barrett, Noosa is certainly becoming the place to be seen. Laid-back venues for grown-up drinks with water views – now that is Noosa chic. Rickys offers great seasonal food, and is a superb place for a sunset glass of vino. The Boathouse also has a grand aspect over the Noosa River while in the evenings Wasabi is a stylish place to watch the fishies swim. While Hastings Streetis the slick heart of Noosa, there is plenty happening elsewhere. Head to Noosaville for must-stop shops such as Coco & Bliss, The White House, Pandanus Culture; and even browse books while you sip on an espresso at The River Read, one of Australia’s top 10 bookstore cafes. 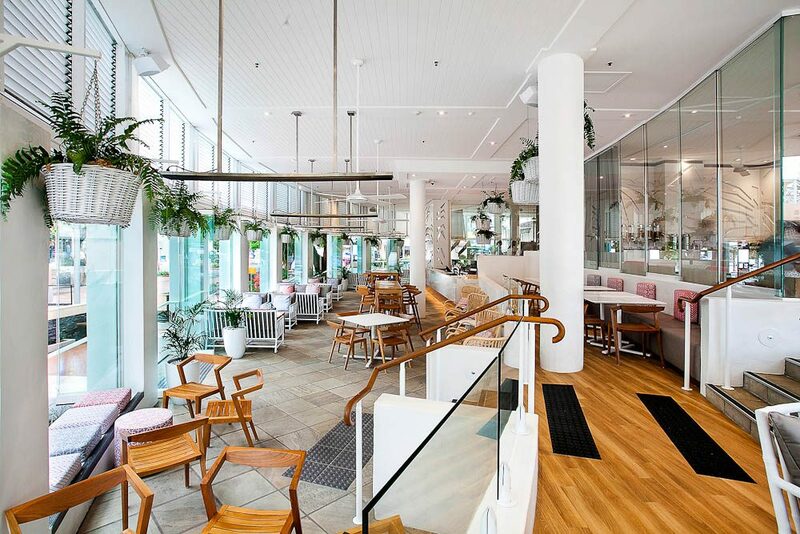 Sheraton Noosa received a $10-million makeover during the year (no longer the ‘coral pink palace’); the highlight of which is the Noosa Beach House, by chef Peter Kuruvita. It’s got a chilled atmosphere and fresh fare on the all-day lunch menu, as well as bar snacks and cocktails as the sun goes down. While you’re at the Sheraton, you can mull over the 60 treatments available at the Aqua Day Spa too. Noosa is about the holistic food experience, a snapshot of which can be glimpsed on Noosa’s gourmet food trail. Visit a producer, such as Noosa Reds or Maleny Dairies, have the producer come to you at the weekend farmers’ market. For more information, see Visit Noosa. This is certainly an inusal selection of venues and places that the locals are supposed to frequent. There are many other venues and places that locals frequent alot more often.